I wrote this piece for my friend Kevin Coker at Blue Valley Northwest High School. We wrote it for his developing women's choir. It if fairly accessible, though there are some difficult intervalic moments in the middle section. The students loved it, Kevin was great, wonderful experience. Tagore's writing is so so so great. The language is beautiful, imagery is paramount in this poem. I tried to capture the image of light spreading, starting from its smallest point and expanding out onto a plane. It is also fast. Which is great. 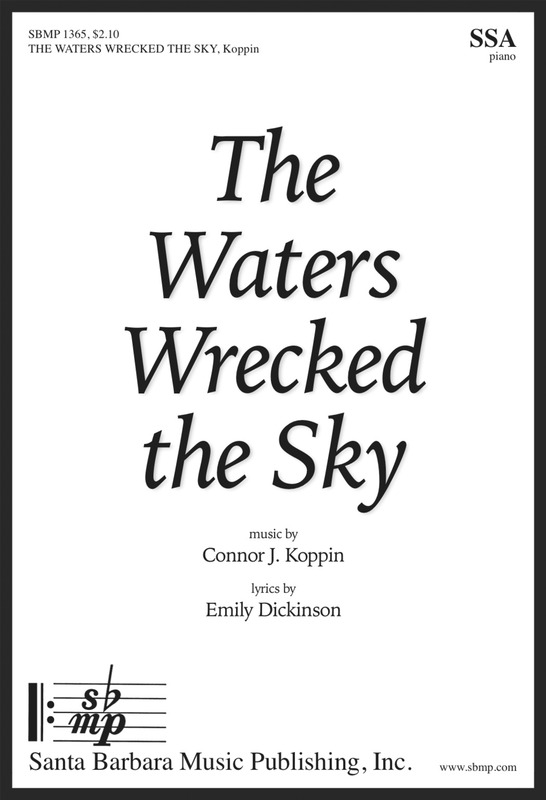 I wrote this for the 7-8 Iowa Choral Director's Opus Treble Honor Choir. Though the text is really a popular one, I thought I could make a significant contribution to it. Sarah Bouska directed the premiere and it was sung REALLY WELL by these young singers.